Technology and the energy that drives it are integral to our everyday lives. We only have to have a power outage to be reminded that our lives are built around it. But its presence in our daily lives, and the unseen electromagnetic radiation that may emanate from some power sources, can cause changes and in some cases damage to the human body. EMR Surveys undertakes independent professional surveys which can identify potential electromagnetic radiation trouble spots in either the home or the workplace. If a trouble spot is identified, EMR provides simple practical recommendations where possible, to reduce harmful exposure. Director of EMR Surveys, John Lincoln, holds a Bachelor of Electrical Engineering and has extensive experience in the industry. 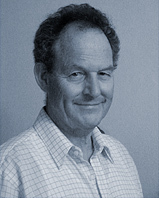 John Lincoln is a member of the ARPANSA Working Group which is currently preparing a Radiation Protection Standard for maximum exposure levels to electromagnetic fields in the range 0 Hz to 3 kHz. ARPANSA (Australian Radiation Protection and Nuclear Safety Agency) is a Federal Government agency charged with the responsibility for protecting the health and safety of people and the environment from the harmful effects of ionising and non-ionizing radiation. John Lincoln works closely with Sutherland Shire Environment Centre in researching the relationship between the location of electromagnetic fields and adverse health conditions. John was also a member of the ARPANSA Working Group that prepared the Radiation Protection Standard 'Radiation Protection Series No. 3' - Maximum Exposure levels to Radiofrequency Fields 3 kHz to 300 GHZ. EMR Surveys has been measuring electromagnetic fields in residential and commercial premises for 10 years and documenting the long term health effects on children and adults. John Lincoln is available to make presentations to interested organisations on the subject of electromagnetic radiation and its possible effects. "Peace of Mind For Me and Peaceful Sleep for My Son..."
"On EMR's advice, we acquired quotes to remove the electrical box away from the house closer to the street (20 metres away from the house). It's amazing the strange looks we encountered from electricians when we asked for its removal. "We went with a guy who supported our intentions and he suggested we went even further by relocating the electrical cables beneath my son's bed, to the centre of the room, away from any beds. He also relocated the circuit breaker load centre in the laundry away from every one. My son's sleep patterns are now normal - he has stopped sleep walking and now sleeps in the centre of the bed rather than shimming down to the end of the bed away from the wall. The bruising to his body, which is symptomatic of childhood leukaemia, has also disappeared. We thank you again for your service and advice."